My work on optimization techniques for high computing load, continuous function without derivatives available is financed by the LTR European project METHOD (METHOD stands for Achievement Of Maximum Efficiency For Process Centrifugal Compressors THrough New Techniques Of Design). 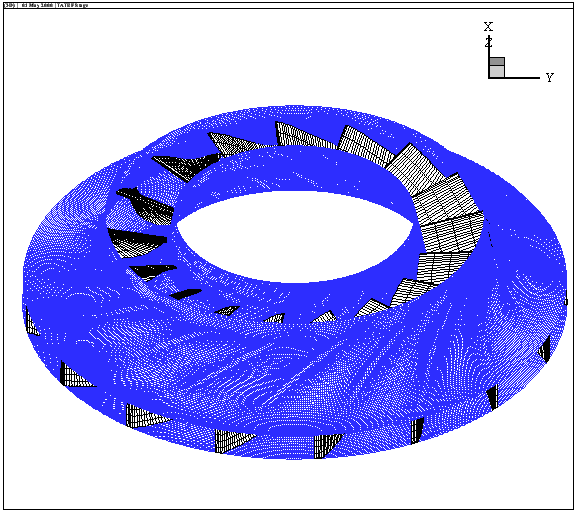 The goal of this project is to optimize the shape of the blades inside a Centrifugal Compressor (see the figure 11.1 for an illustration of the blades of the compressor). Based on the 31 parameters, generate a 3D grid. 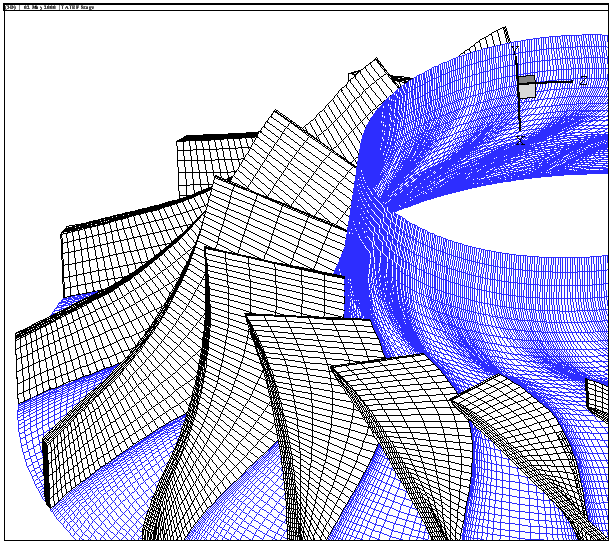 Use this grid to simulate the flow of the gas inside the turbine. Wait for stationary conditions (often compute during 1 hour). Extract from the simulation the outlet pressure, the outlet velocy, the energy transmit to the gas at stationary conditions. We simply have an objective function which takes as input a vector of 31 parameters and gives as output the associated quality. We want to maximize this function. This objective function has been implemented by the Energetics Department ``Sergio Stecco'' of the ''Università degli Studi di Firenze'' (DEF). For more information, see [PMM$^+$03].